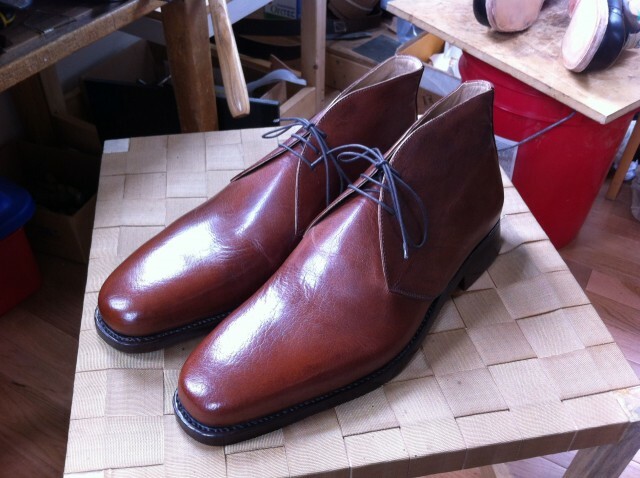 And the finished Chukka Boots. 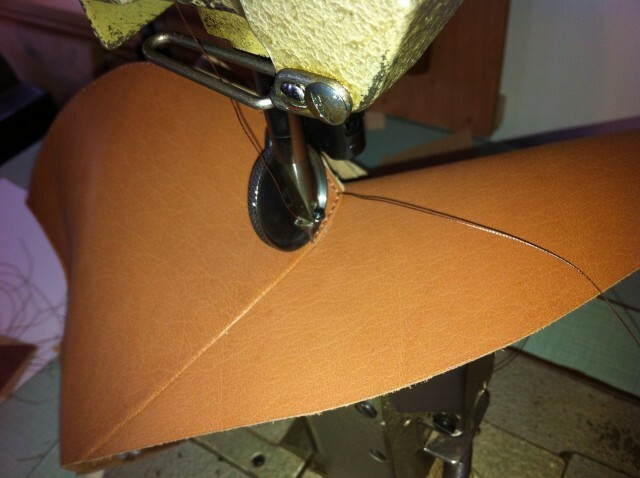 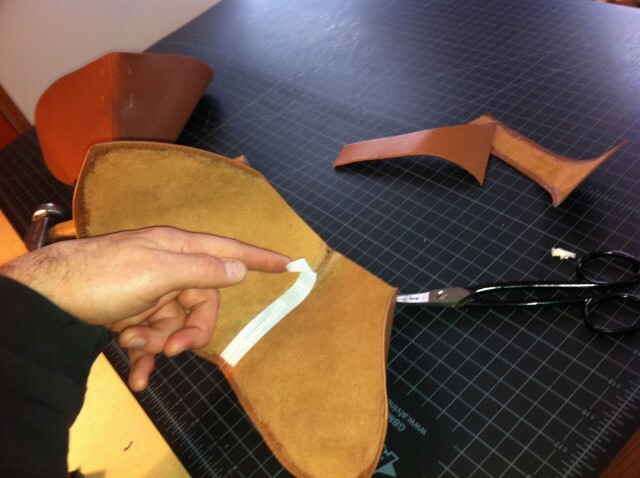 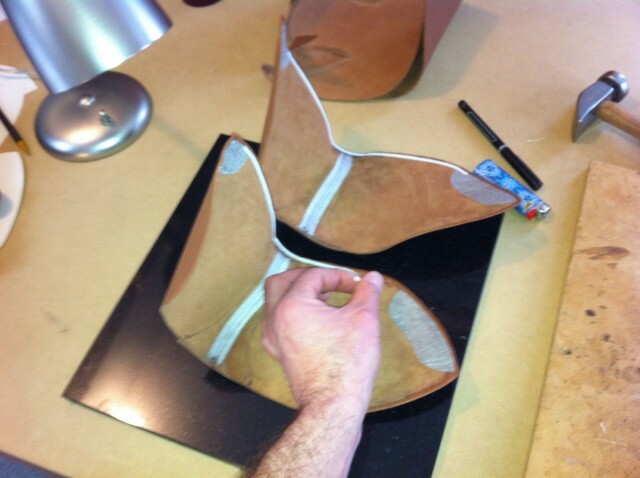 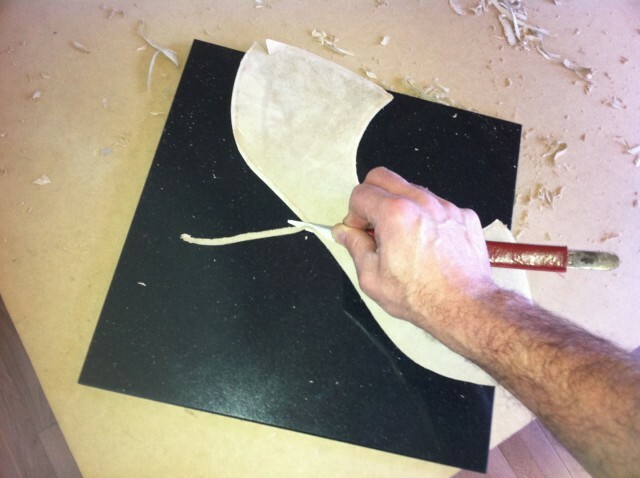 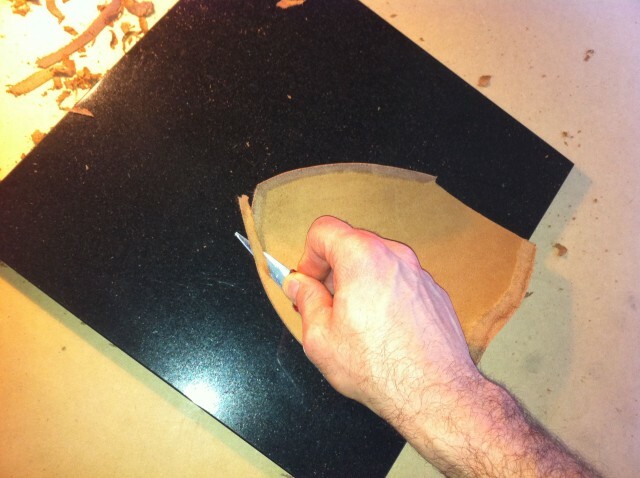 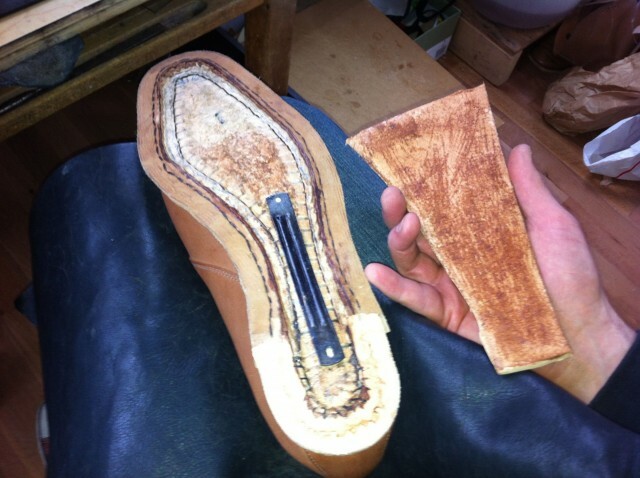 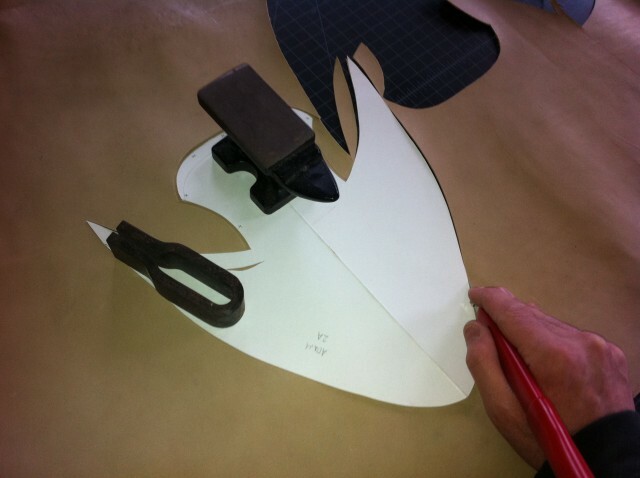 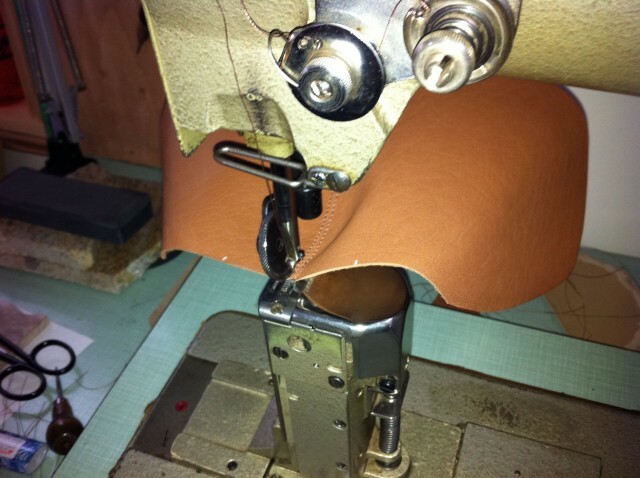 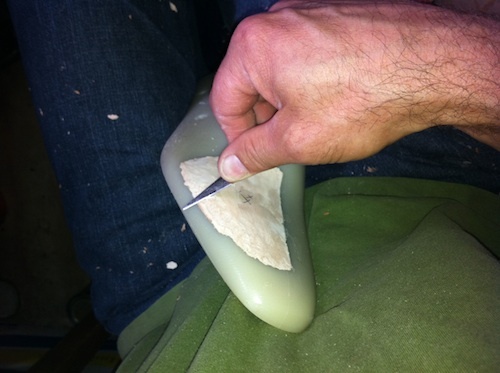 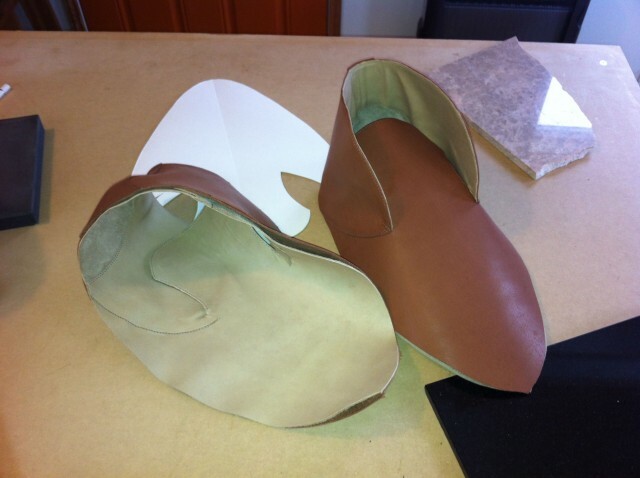 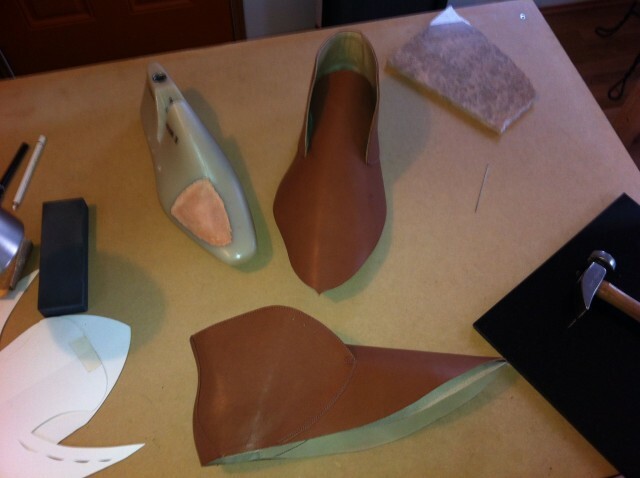 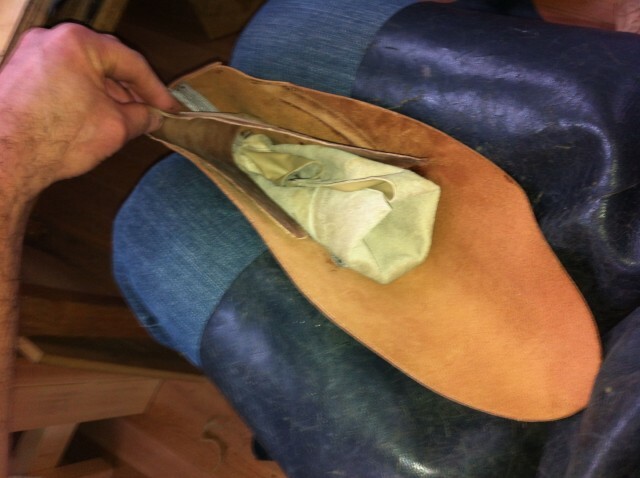 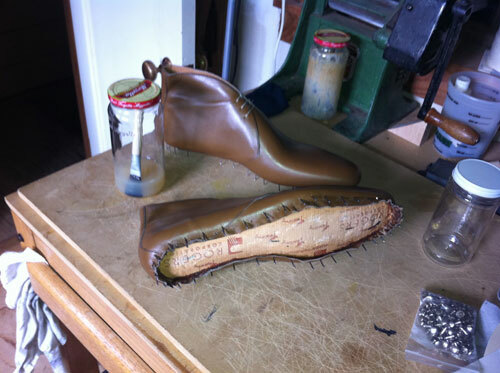 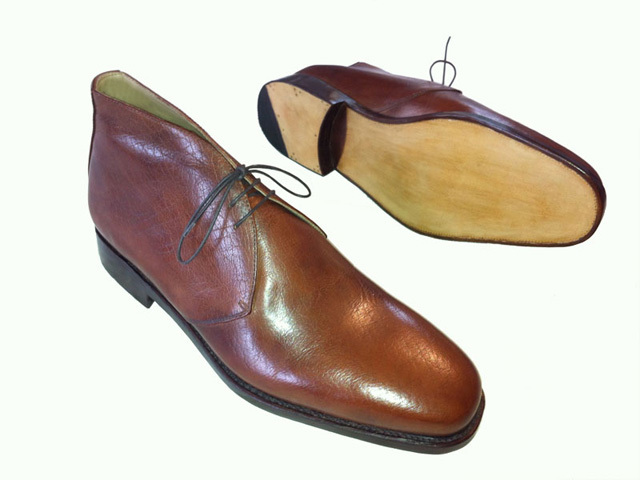 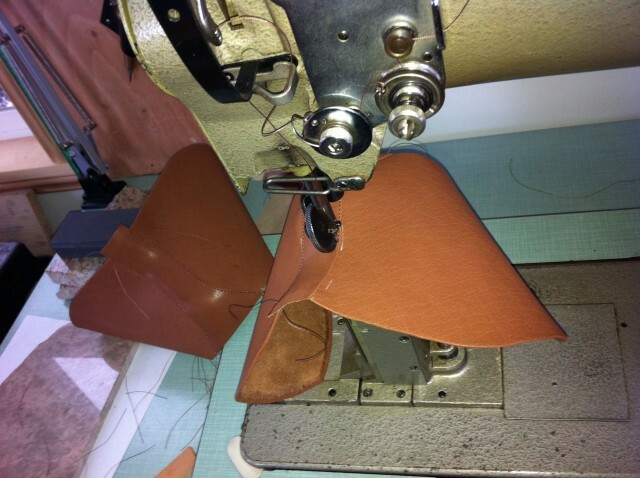 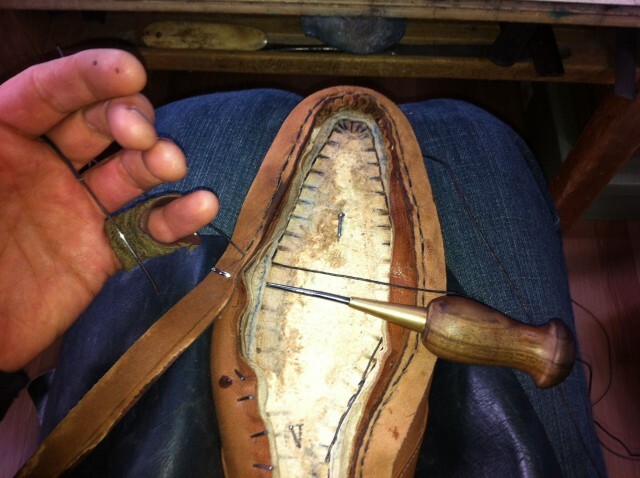 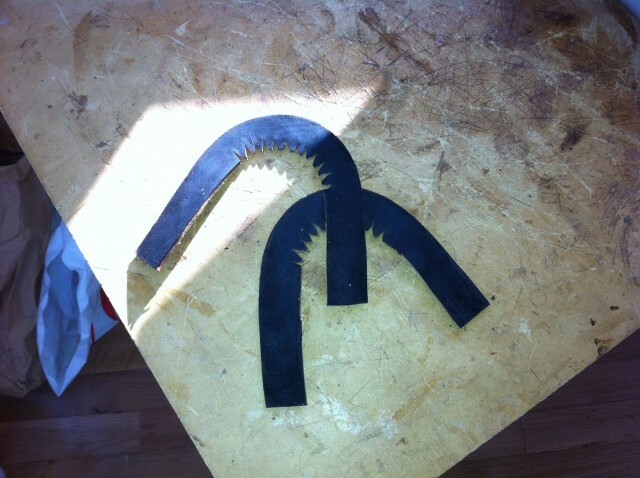 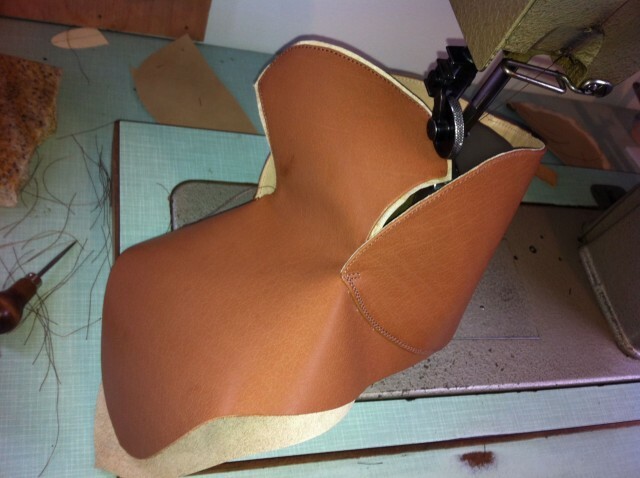 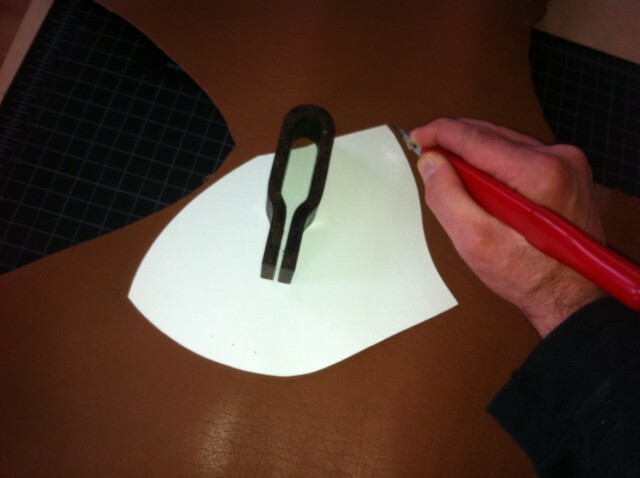 The Chukka Boots have 2nd rands attached and trimmed, and heel lifts. 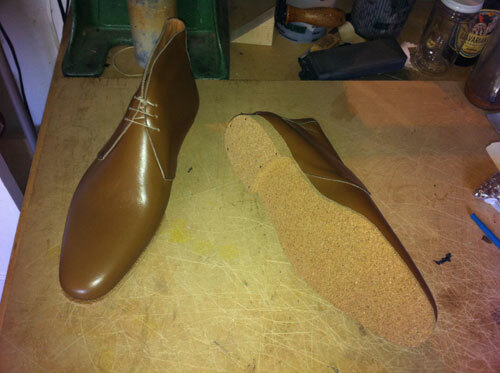 The Chukka Boots have rands attached. 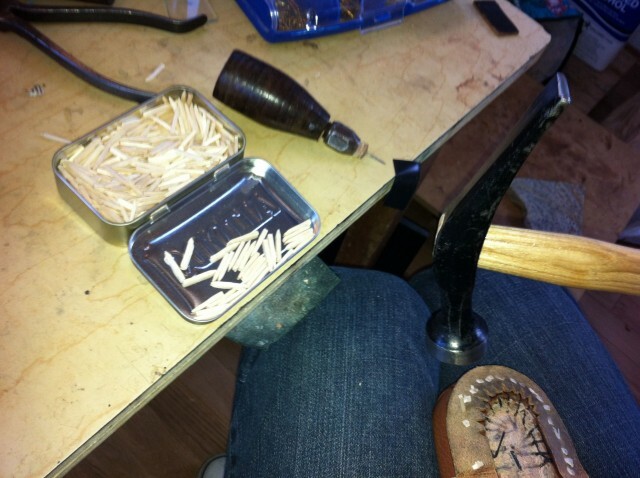 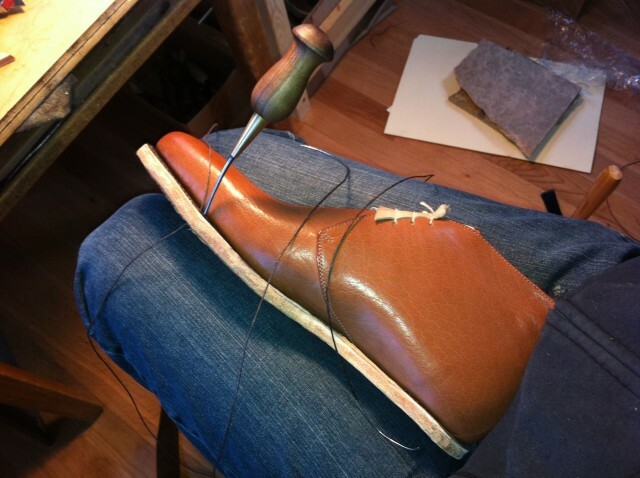 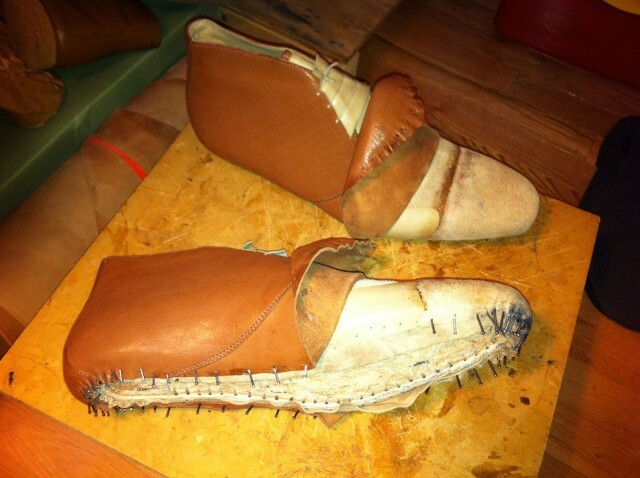 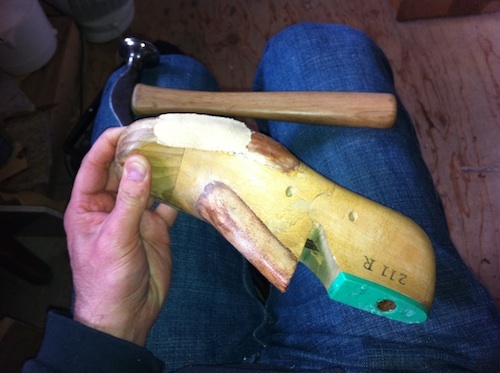 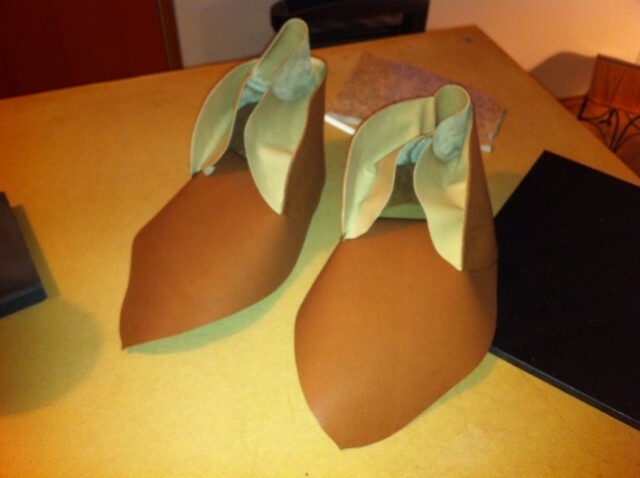 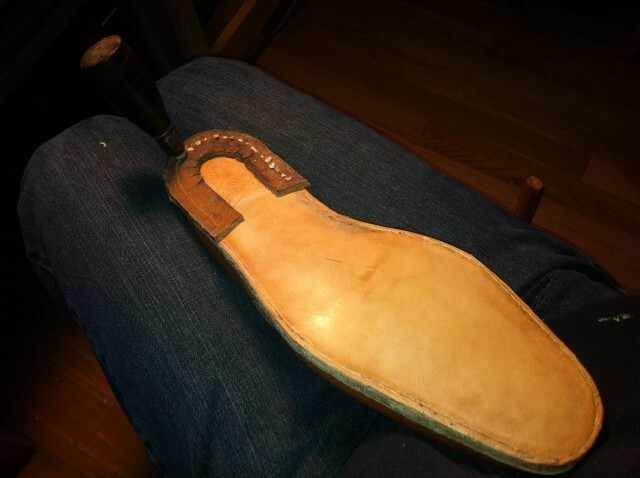 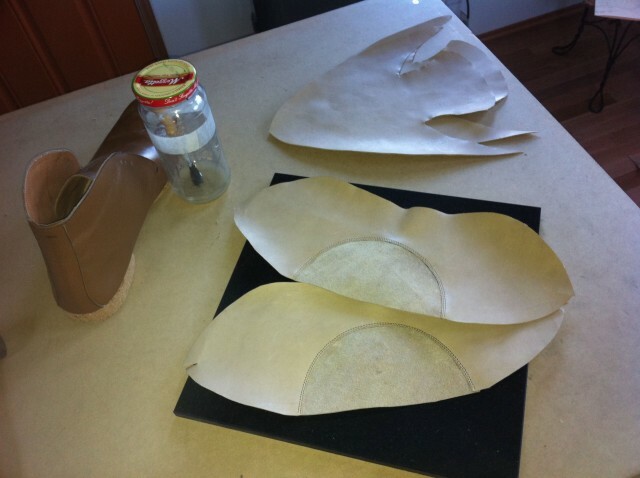 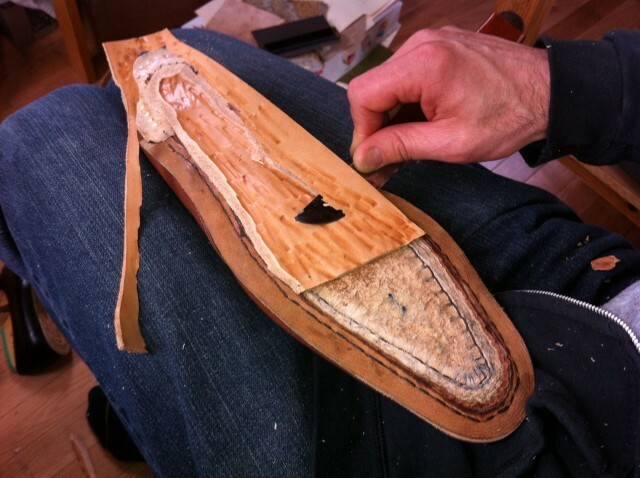 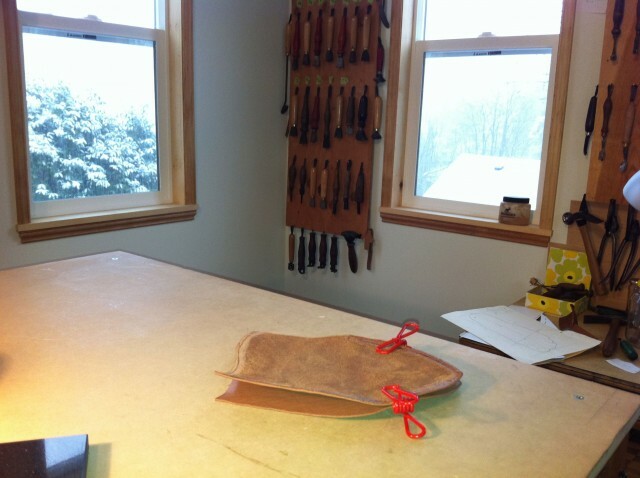 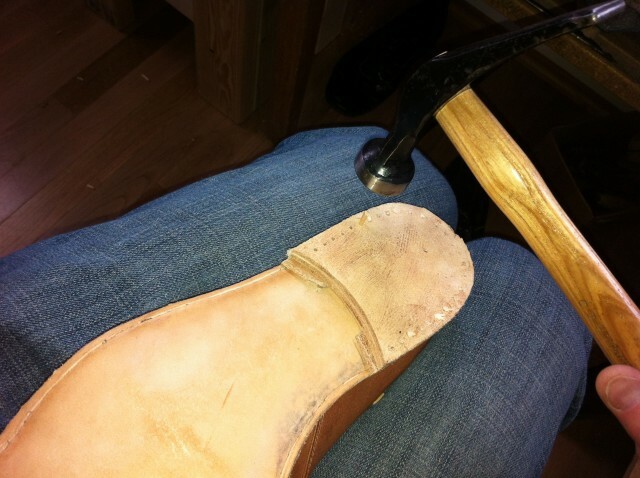 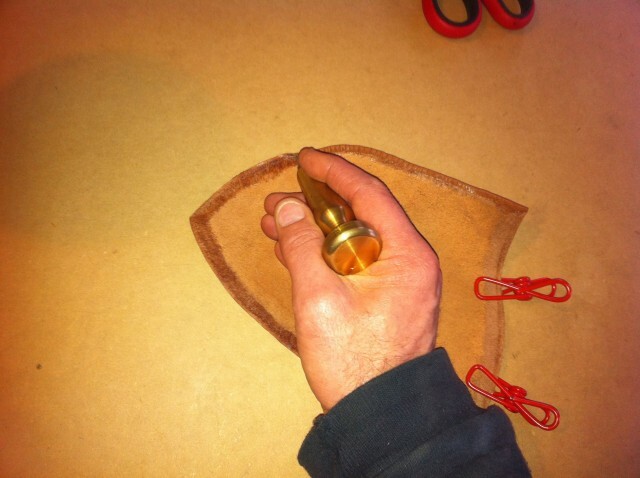 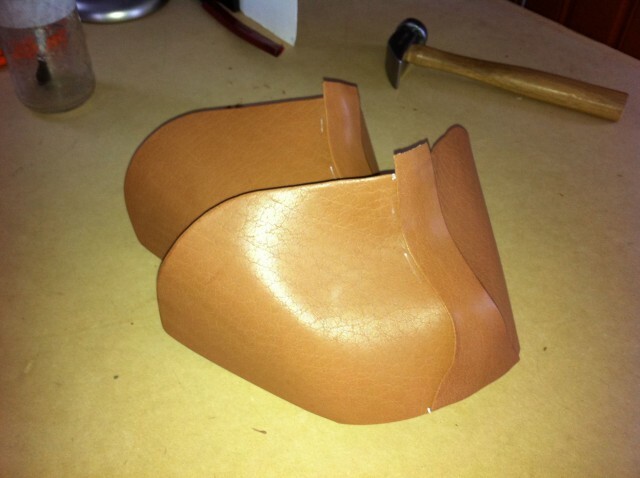 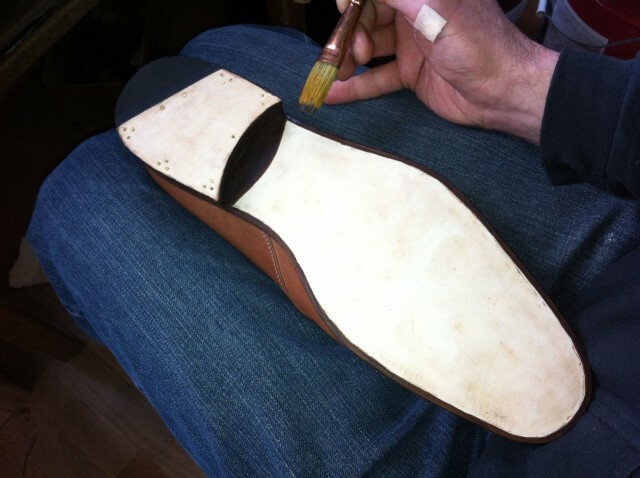 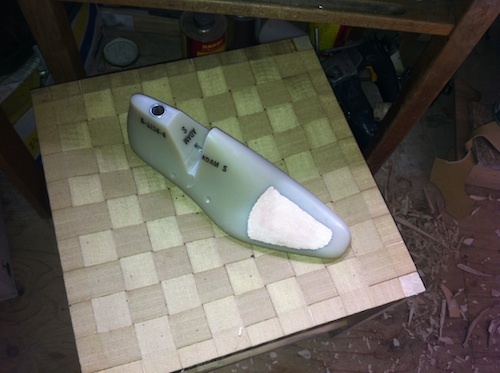 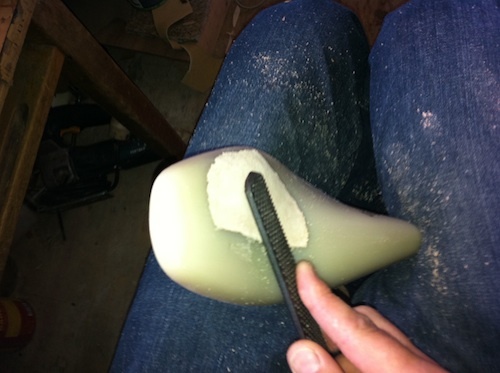 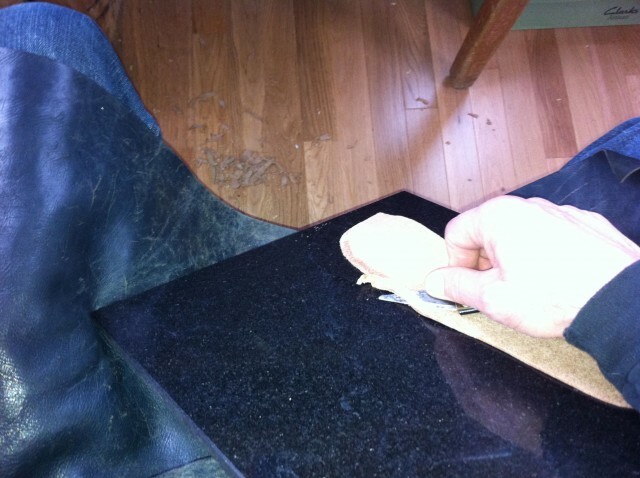 The Chukka Boots have been lasted and toe puffs are in place, ready to be shaped with a rasp. 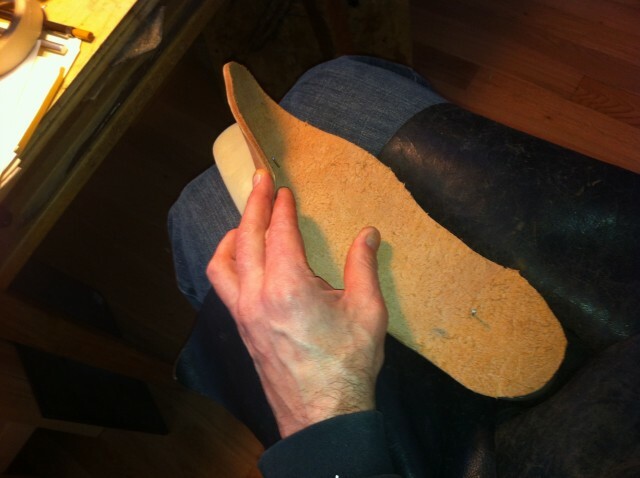 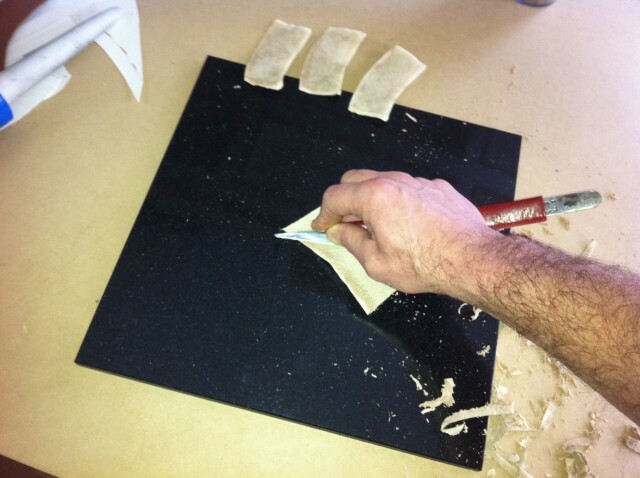 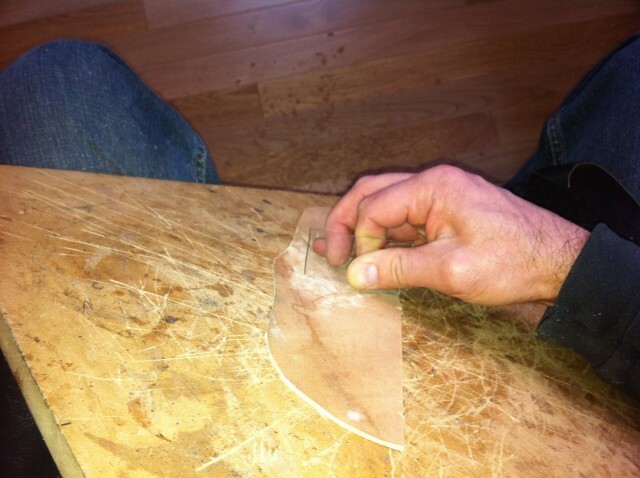 Preparing the insoles for the Chukka Boots. 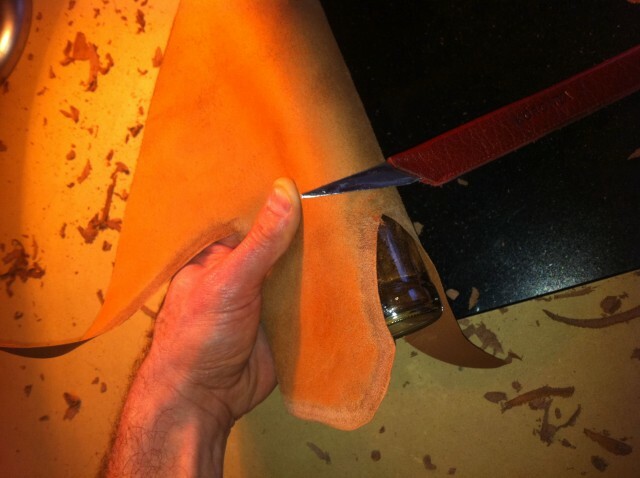 I’m using insole shoulder from Warkov-Safeer for these, which is on the soft side and can use some of the stretch taken out of it. 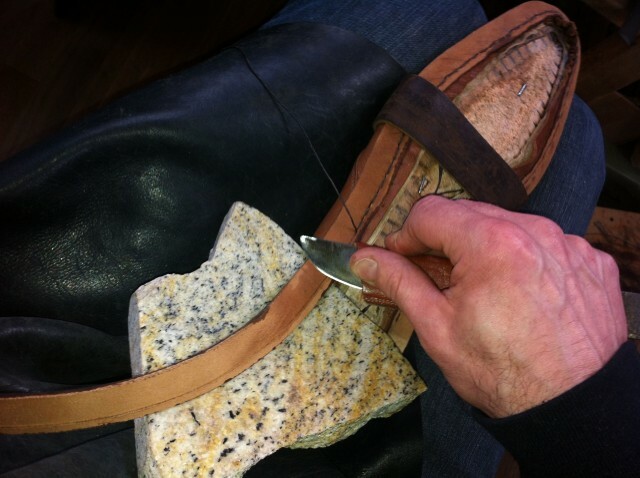 Preparation for lasting the Gibsons and the Chukka Boots. 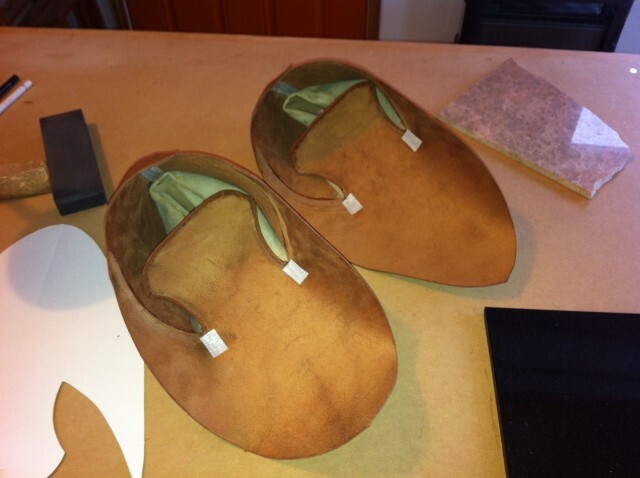 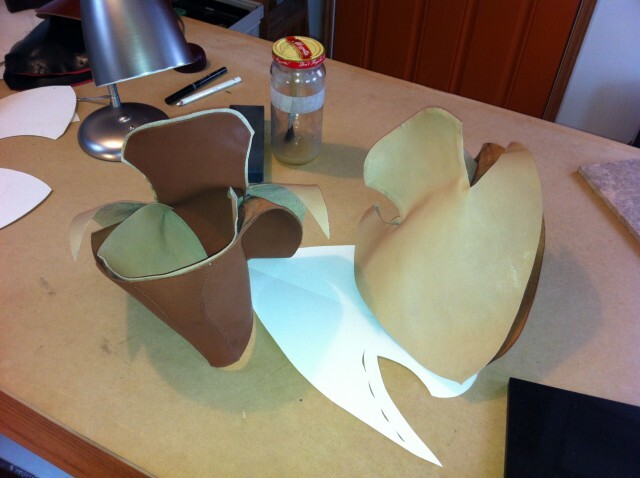 The uppers for the Chukka Boots are finished and here are some progress photos showing a few of the final steps. 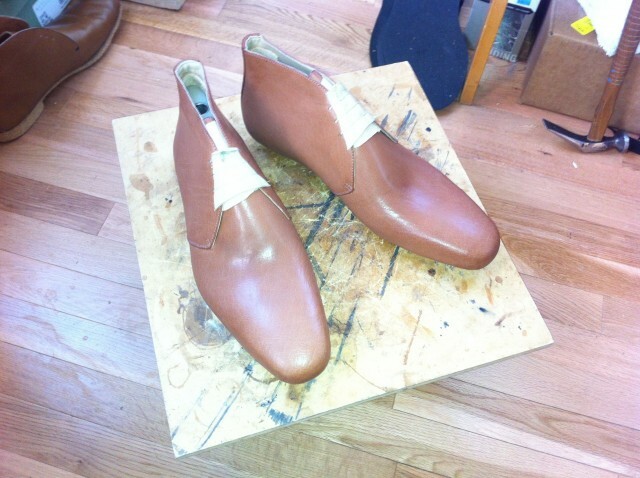 More progress on the uppers for the Chukka Boots, which should be finished later today. 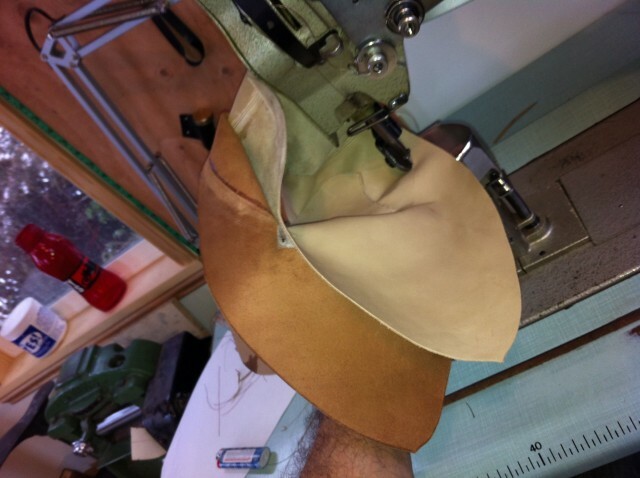 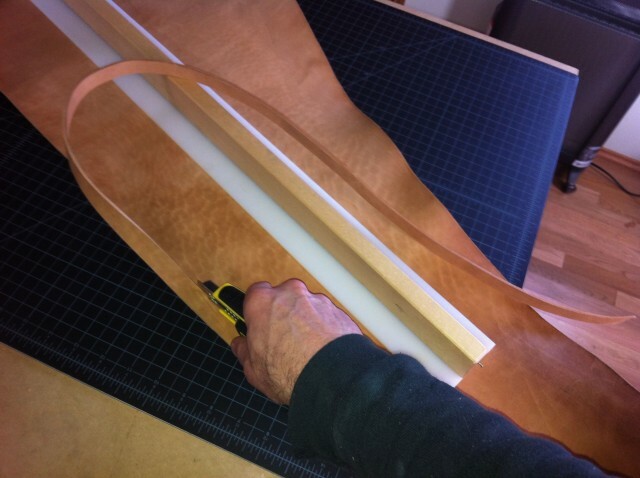 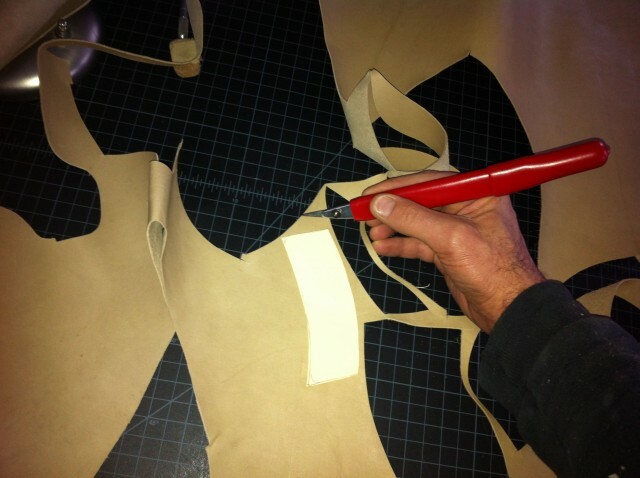 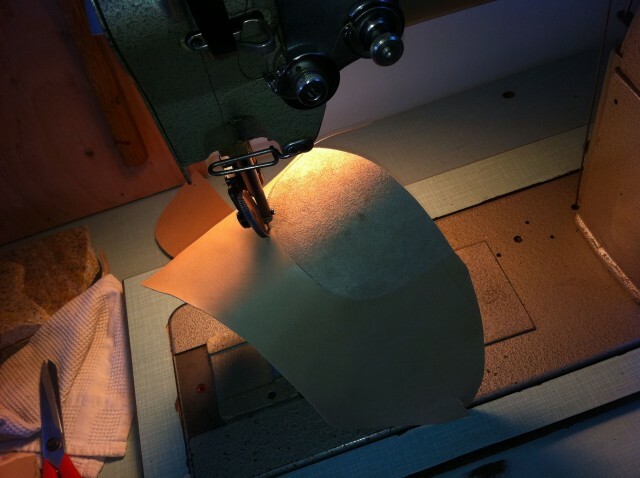 Here’s a few photos of the continuing progress on the making of the uppers for the Chukka Boots, from folding edges to sewing the backstay onto the quarters. 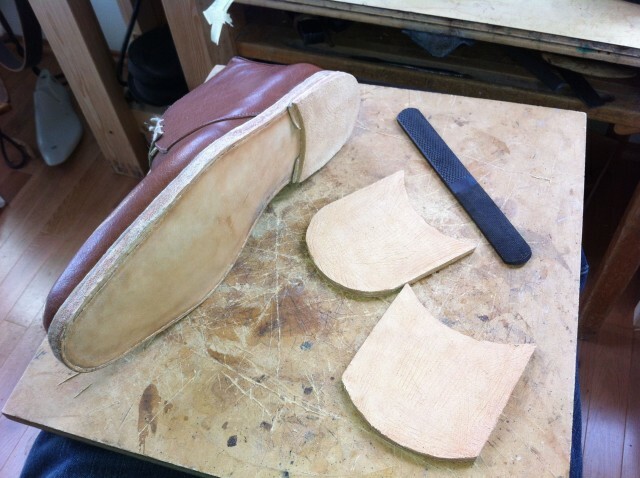 Work on the uppers for the Chukka Boots continues with some clicking and skiving. 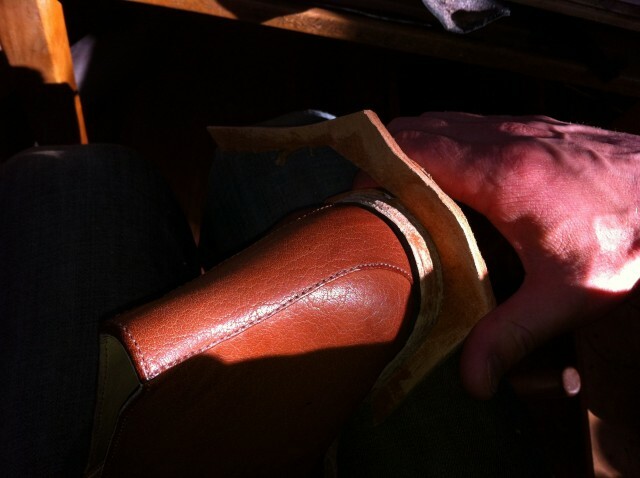 A couple of weeks ago I finally was able to schedule a test fitting for the Chukka Boots. 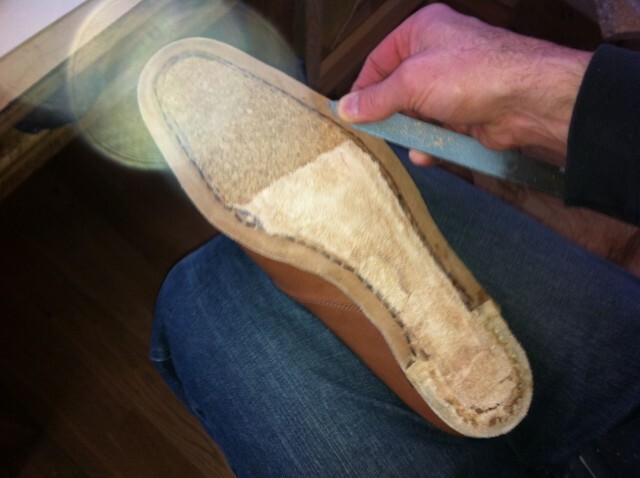 After I met with the client, I left the test fitters with him to wear around the office a bit to make sure that the fit was good. 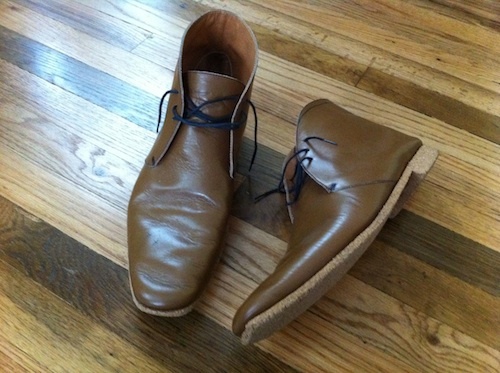 I had no idea he would wear them outside and while driving his car! 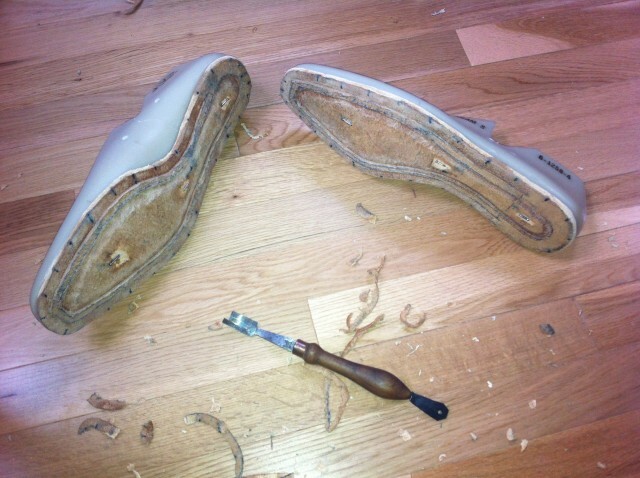 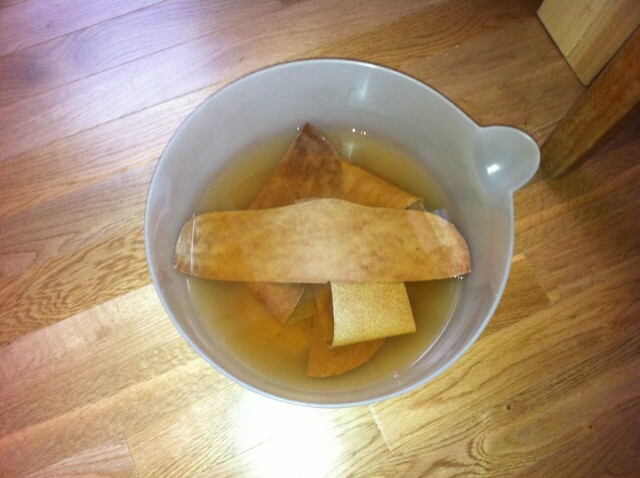 I am surprised that the cork soles didn’t complete crumble. 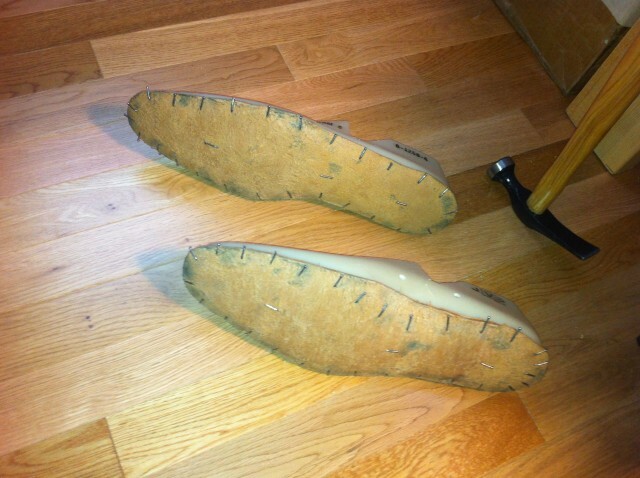 The lasts for these are a surprisingly good fit. 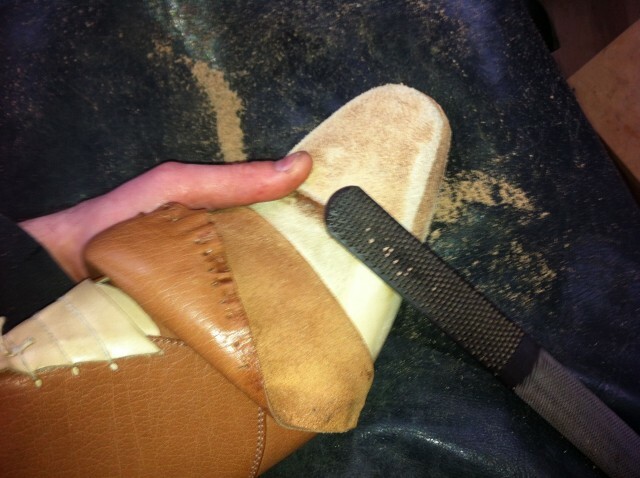 Only a small addition to the top of the right last over the 4th toe will be needed. 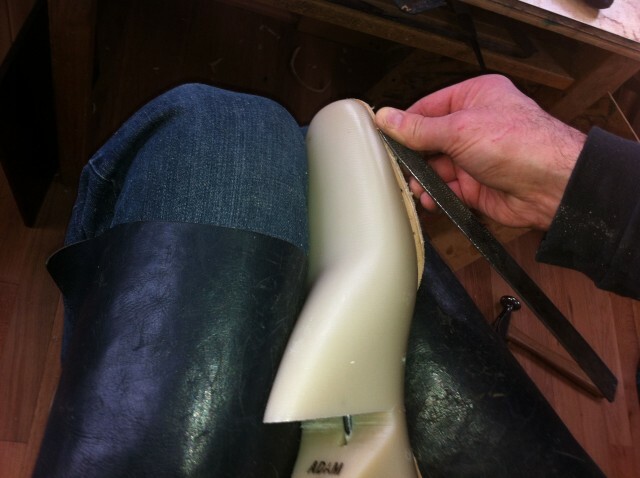 The customer wanted the height of the boot to be a little lower, so the pattern has been altered slightly. 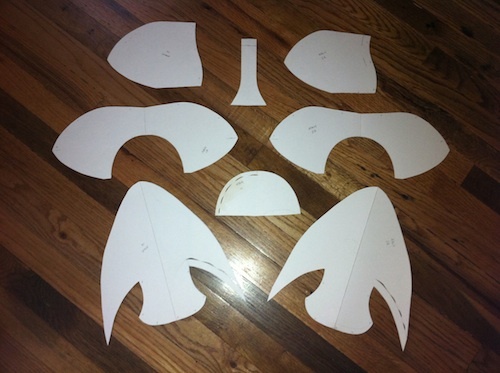 Old pattern on the left, and new pattern on the right. 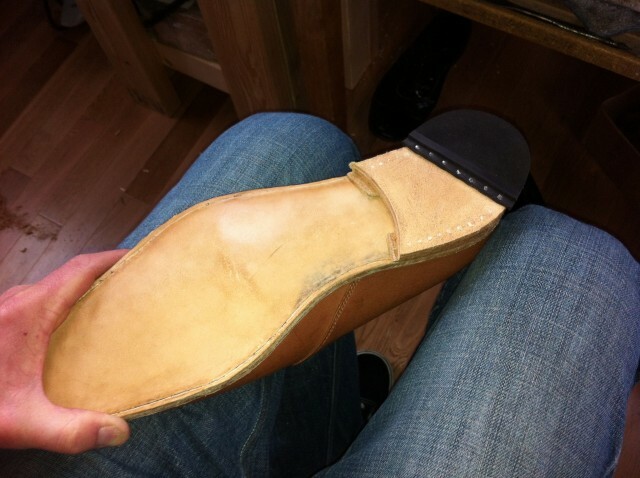 The test fitters for the Chukka boots are finished. 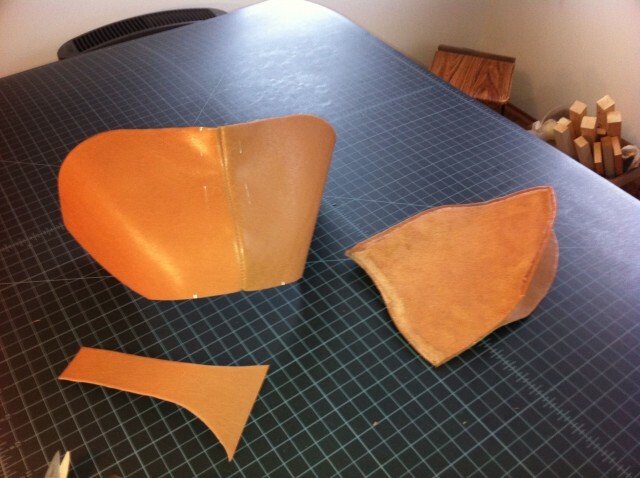 Hopefully I can schedule a fitting this week and see what alterations to the lasts are needed. 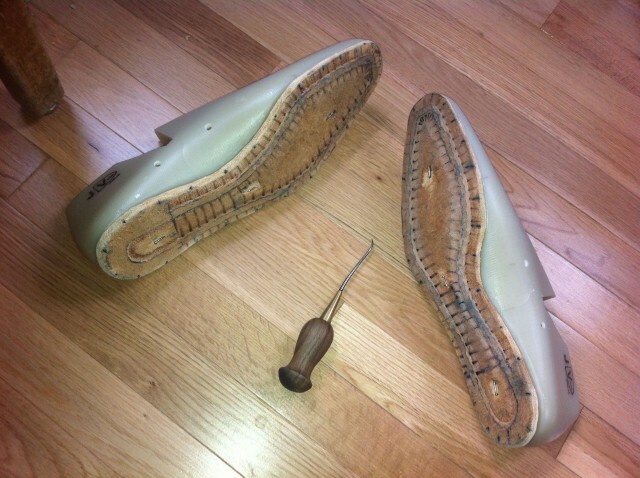 The lasts for the Gibsons have been altered and are ready for insoles, but I still need to make some changes to the pattern and construct the uppers as well.